In this age of science and technology, if someone says that stones can change one’s fortune people will surely not believe him. But miracles do happen. There are many precious and semi-precious gemstones as per the Vedic astrology that are capable of changing the fortunes of the wearer. That is the reasons why the experts in this field recommend different people to wear different stones. As per the Hindu religious books, the human body is made of five elements, and one of these elements is earth. Hence, these stones can bring some changes in the life of the wearer which can prove beneficial to the wearer. This stone is also known as Neelam, and it represents the Planet Saturn. In the Vedi Astrology, the Saturn is known as Shani, which the Lord of judgment and hence offer the result of one’s Karma. This stone is known for its fast effect on the mind and the body of the wearer. Hence it is important that one consult an expert before wearing the stone else it can create negative effects also. This stone is commonly worn in the ring made of five metals or Silver as well as Gold. One needs to wear the stone with the weight of 5.25 ratti and in the middle finger on any Saturday. Before wearing the ring, one needs to perform Puja of the same also. Usually, people wear it in ring else one can wear the same as a pendant or a bracelet also. 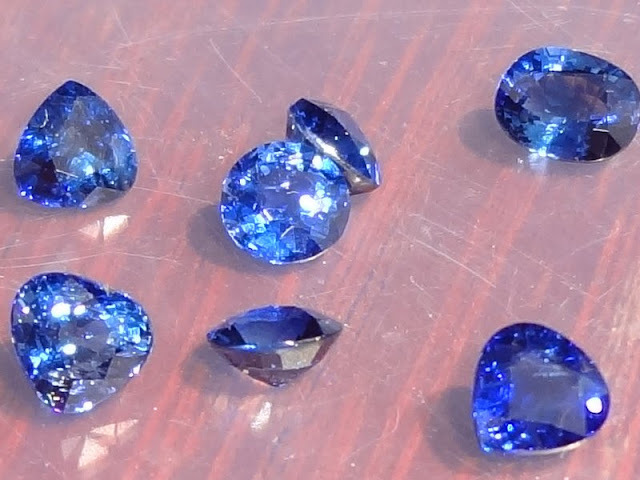 The blue sapphire stone price varies as per the weight and quality of the stone. This stone is also known as Pravel, and it is available in red color. Hence it resembles the Planet Mars, which is also known as the fastest planet. This planet is more connected with the land as well as electricity, and hence those who deal with these fields must wear this stone. This stone helps one to purify the blood and boost the immune system. Those who struggle with property cases and future, as well as unstable situations, can also get benefited after wearing this stone. One needs to ask an expert about the planetary position of Mars in his horoscope and if the expert recommends should go for this stone. One needs to have the stone of minimum 5.25 ratti in weight and fix it in a ring to wear and get the benefits. The ring must be made of either Gold or Silver or eight metals. One can wear it in a ring or even a pendant or a bracelet form. There are different quality stones available in the market, and one needs to get it from a vendor who is trustworthy enough as a fake stone cannot offer any benefit. The Moonga Gemstone needs to be wornon the ring finger and the best day to wear it is Tuesday. One needs to perform a Puja of the stone before wearing the same so that one can have expected result.